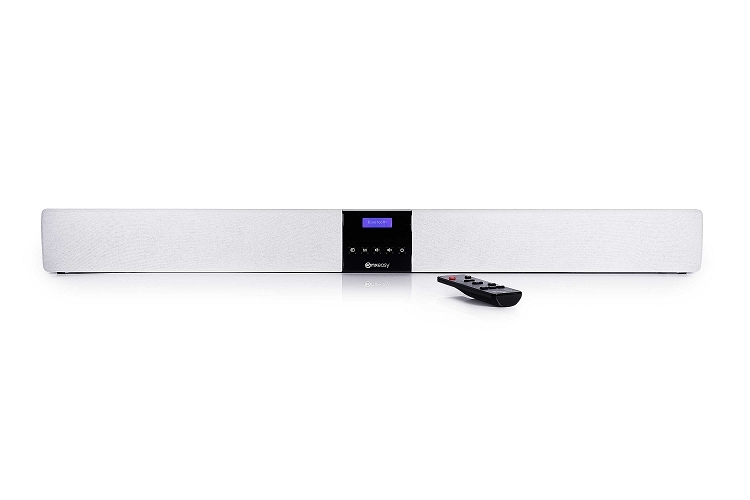 Add fantastic sound and HDMI connectivity to virtually any AV install with the ConXeasy SB603 soundbar. The ConXeasy SB603 can be mounted directly to the wall using the wall mounting kit or placed directly on a surface with the included rubberised feet. 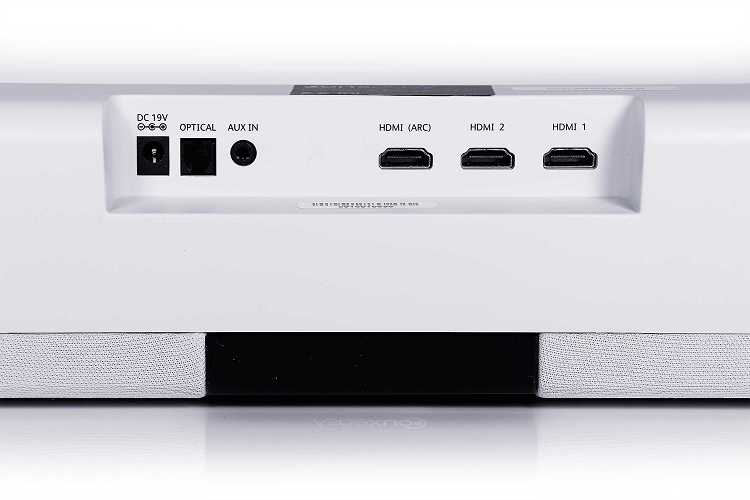 The ConXeasy™ SB603 is a high efficiency, high output power audio solution that delivers excellent value for money and is the perfect complement to interactive whiteboards or interactive flat panels. Ideally suited to the education and corporate environments where high definition audio is a must-have and with no need for a separate subwoofer, the ConXeasy SB603 has two built-in Ultra-Bass passive drivers, two bass drivers and two full range drivers, allowing full frequency range audio in a single discrete unit. The key to the ConXeasy SB603 is its connectivity - it can easily connect to any panel or audio source via cable (analogue or digital), HDMI or wirelessly via Bluetooth Aptx™ meaning that audio can be streamed from a laptop, smartphone or tablet. The ConXeasy SB603 features a TOSLINK optical input, analogue input, Bluetooth aptX® input, as well as two HDMI inputs and one HDMI output. The HDMI output features Audio Return Channel (ARC), which means it can also function as an input. In addition, the Bluetooth aptX® functionality brings added convenience to the application – providing for lossless, high quality streaming audio from smartphones, laptops and tablets. The presence of this codec makes the SB603 unique in its product category. The unit additionally features 3 DSP settings specifically designed to enhance the audio experience Hall, Music & Voice, these can be activated via the included remote control or using the buttons on the front of the soundbar. A remote control is included as standard. The soundbar is available in black or white.